Dance Equations is a math dance program that helps educators teach math to all grade levels in a new way. The program goes beyond clapping, rudimentary motor skills, simple patterning and basic mathematical concepts. It demonstrates more complicated theories and enhances students’ creative abilities. Dance Equations is designed to make math fun and get kids dancing! You don’t need any formal dance training to use our lessons. Through Dance Equations, you will learn how to guide students through their own math dance discoveries. This is what makes Dance Equations distinct from other programs. ⦁ another way to enhance your drama and dance curriculum. CREATOR OF DANCE EQUATIONS – Author, Educator, Speaker, Choreographer, Dancer. Miranda Abbott is the creator of Dance Equations, a program that demonstrates how to teach mathematics through dance. 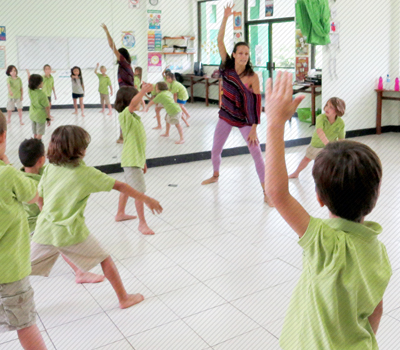 After 15 years of teaching children various subjects through dance, Miranda was inspired to develop Beyond Movement, a Curriculum Resource for educators. 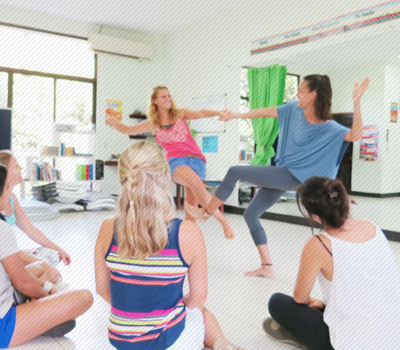 Through her varied classroom experiences, Miranda learned that teachers could be even more effective by incorporating dance in their teaching. She began experimenting using mathematics in her choreography and developed multiple ways in which math could be taught. Empowering teachers to better connect students with the math curriculum by using dance has been particularly beneficial to ESL students, kinesthetic learners and children with special needs. JOIN THE DANCE EQUATIONS’ MAILING LIST TO RECEIVE A FREE ‘How to Teach Dance’ GUIDE. To become a MEMBER, please visit the Member page. With the support of the Canada Council for the Arts, Miranda Abbott is writing a math resource for secondary school teachers. Please contact Dance Equations for more information. Dance Equations teaches mathematics through these four main elements of dance, focusing on multiple intelligences. Elements of ballet, modern, jazz, hip hop and break dance are integrated into many of the exercises, making learning more enjoyable. It gets kids up and moving while learning and having fun. Ultimately dance is about expressing yourself. Your MATH curriculum becomes the inspiration. Click on the images to learn more about each element. As a teacher, you already have all the skills you need to incorporate dance into your lesson plans. Dance Equations primarily uses a style of dance called Creative Movement. This gives your students the ability to explore and create their own movements. The math curriculum is incorporated into these structured improvisational exercises. Think about the mathematics curriculum and concepts as: translation, reflections and rotations. They have a direct application to the physical space. By using Dance Equations exercises, you will see immediately who understands each concept as students explore the three-dimensional space. As mentioned earlier, Dance Equations exercises are not just simple patterning and basic mathematical concepts. The exercises are more complex for higher grades. By using algebra and calculus applications, students can choreograph exercises with numbers as symbols. Need more help? No worries – we provide Personal Development sessions! To fully integrate Dance Equations into your curriculum, please visit the MEMBER page. Our student workshops fit easily into daily school routines; we can provide four workshops a day, with 15 minutes to set up and an hour for each workshop. A gymnasium or multipurpose room is the best location for the workshops as students will need to move around without feeling inhibited by space constraints. Teachers are invited to join in; the work is easy to learn. It is suggested that each school purchase Dance Equations’ BEYOND MOVEMENT to get the most out of the workshop. Professional Development workshops expand on all of the concepts in BEYOND MOVEMENT, our main Dance Equations resource. This includes detailed instructions on how to create lessons and how to enhance the mathematical curriculum. The Dance Equations program includes webinars, online help and advice at anytime. Miranda personaly leads teachers through lessons showing how dance is educational on many levels, particularly in mathematics.